In 2007, we were commissioned to design, construct and deliver a fully functional Mobile Field Hospital, complete with all necessary medical/surgical equipment and furnishings. We delivered the first unit in 2008 (Lagos State) and a second unit in 2012 (Delta State). The 23-bed Mobile Field Hospital is a modular system that comprises a medical/surgical treatment container and inflatable tents which are easy to deploy. 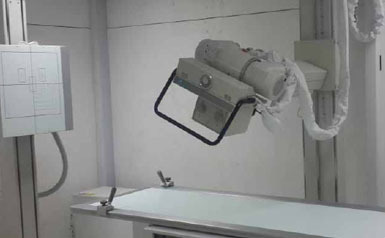 It can function as a stand-alone hospital or as a support for another hospital. Designed primarily for deployment in the event of a disaster or other emergencies, it could also be utilized in the provision of surgical services and other medical intervention programmes for rural communities where such services are not readily available. The Lagos State owned unit was set up and maintained at the Teslim Balogun Stadium during the 2009 U-17 World Cup. The unit owned by Delta State was deployed and set up in the Flood Victims Relief Camp in Asaba during the flooding incident of 2012 that ravaged several states across the country.